Plans for a 10 megawatt (MW) solar photovoltaic (PV) energy facility are now underway in Georgina, Ontario. The GoldLight Solar project is being developed in York Region, just north of the Greater Toronto Area (GTA), by Renewable Energy Systems Canada (RES Canada) for Canadian Solar Solutions. Toronto’s new 464-bed rehabilitation Bridgepoint Hospital is now housing patients receiving healthcare and rehabilitation services for illness and injury. 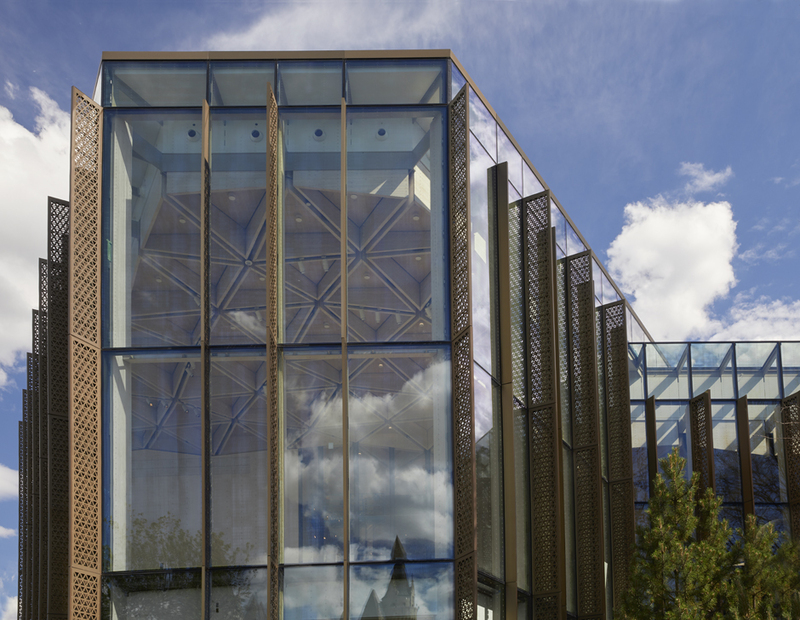 High-performance, low-iron jumbo glass with low-emissivity (low-e) coating provides transparency at the renovated National Arts Centre in Ottawa. The renovation of the National Arts Centre (NAC) in Ottawa includes an entrance designed by Diamond Schmitt Architects that, for the first time, connects the facility to the community. Originally completed in the late 1960s, the NAC is a landmark building with a range of performance and production spaces, and has developed a history of excellence in the presentation of music, drama, and dance from across the country. The 1967 design of the building placed the main entrance on the canal side instead of the city side of the structure. It was only accessible by car, and in the tradition of the Brutalist architectural style, the facility had few windows. Diamond Schmitt Architects’ vision for the renovation enabled the centre to the embrace the city and pedestrian traffic via a new entrance. The new wings are constructed of exposed wood and framed with a custom-designed glass curtain wall system. The introduction of 2137 m2 (23,000 sf) of jumbo, architectural glass brings value to the setting by giving visitors openness and warmth for events from day to evening. Insulating glass units (IGUs) up to 2413 x 5791 mm (95 x 228 in.) deliver uninterrupted views in and out, opening the NAC to the city. The use of low-emissivity (low-e) coating on low-iron glass ensures the views have striking clarity. The retrofit includes an upgrade of 1858 m2 (20,000 sf) of the existing building’s three floors, and the addition of a 5574-m2 (60,000-sf) extension. The centrepiece of the project is a new central tower and atrium. The centre has been expanded to include another stage, a new ticket office, extra wings for events, and more public space. High-performance glass brings in abundant natural light and controls solar heat gain, thereby contributing to energy management while ensuring the open spaces at the NAC do not overheat. The use of glass is a counterpoint to all the enclosed concrete that previously shaped the NAC. The new retrofit is already bringing down the house: The Ottawa Urban Design Awards honored the retrofit with an award of excellence for urban infill.